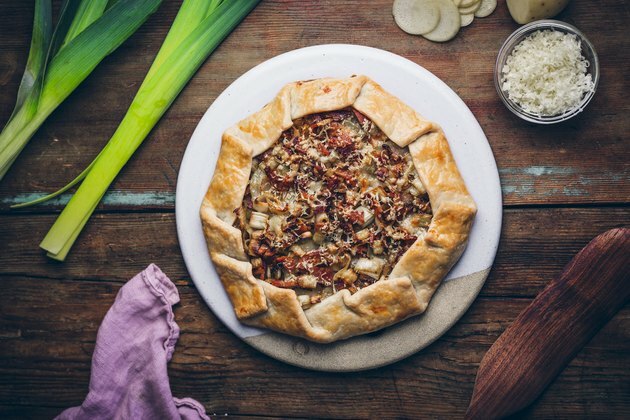 Savory galettes are some of the best things to make once fall rolls around. Not only are they easy to make (thank you, store-bought dough), but they're also incredibly versatile. Savory or sweet? The choice is yours. 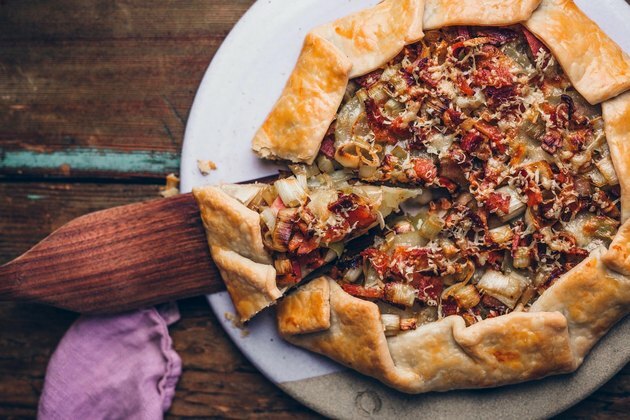 This particular galette is filled with all things cozy; potatoes, bacon, and leeks. Heat oven to 400° F. Add the bacon to a large skillet set over medium heat and cook until slightly crisp. 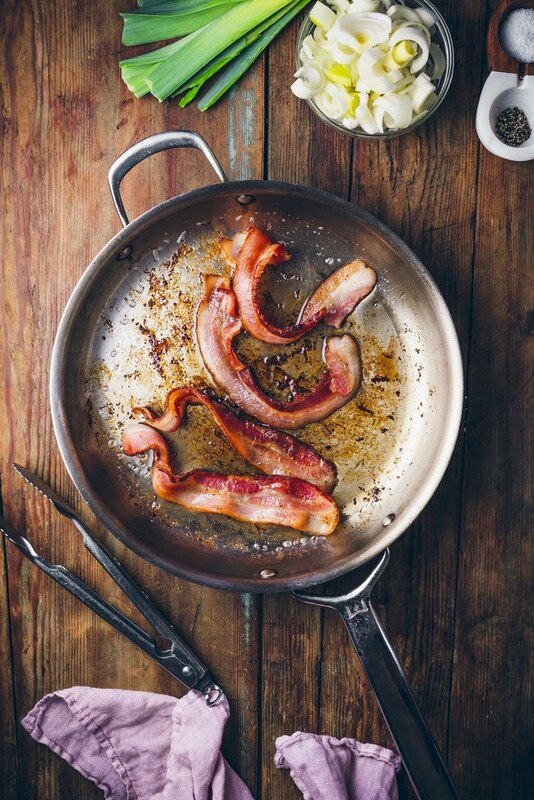 Transfer bacon to a paper towel-lined dish. Roughly chop the bacon once cooled. 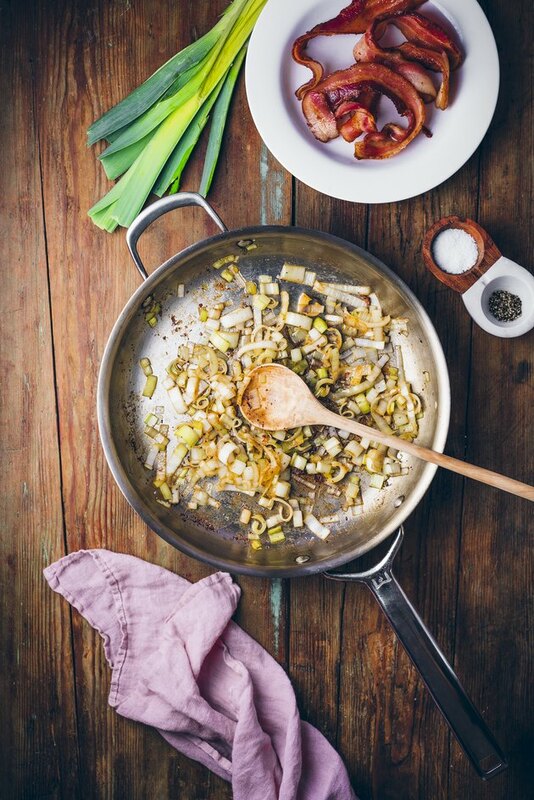 Discard all but 1 tablespoon of the bacon grease, then add the sliced leeks to the pan. Cook over medium-low heat for 4-5 minutes, or until tender. Season lightly with salt. Transfer to a small bowl to cool slightly. 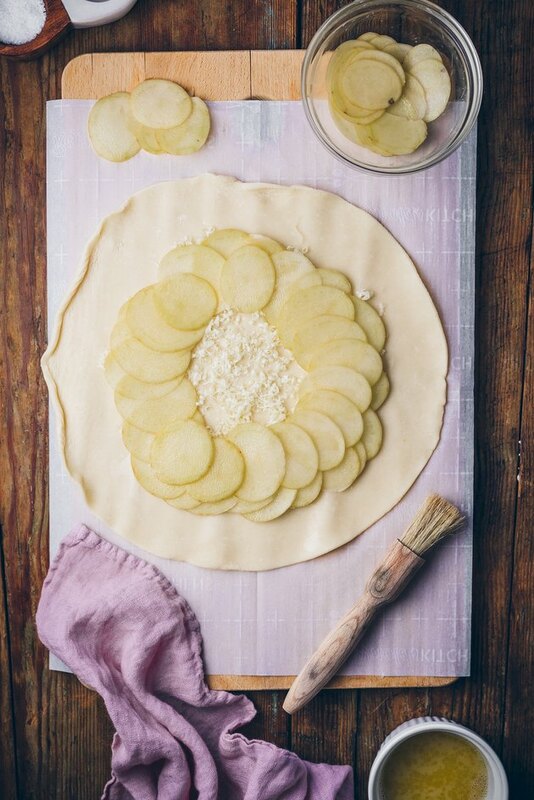 Unroll the store-bought pie crust and place on a piece of parchment paper. Sprinkle with half of the gruyere cheese, leaving a 1 1/2 inch border all around. Layer the potato slices over the cheese and season with salt and pepper. Toss the bacon and leeks together, then scatter over the potatoes. Sprinkle the remaining cheese over the top. Fold the dough edges over filling, tucking and overlapping as needed. Whisk 1 tablespoon water into the egg and brush over the dough. 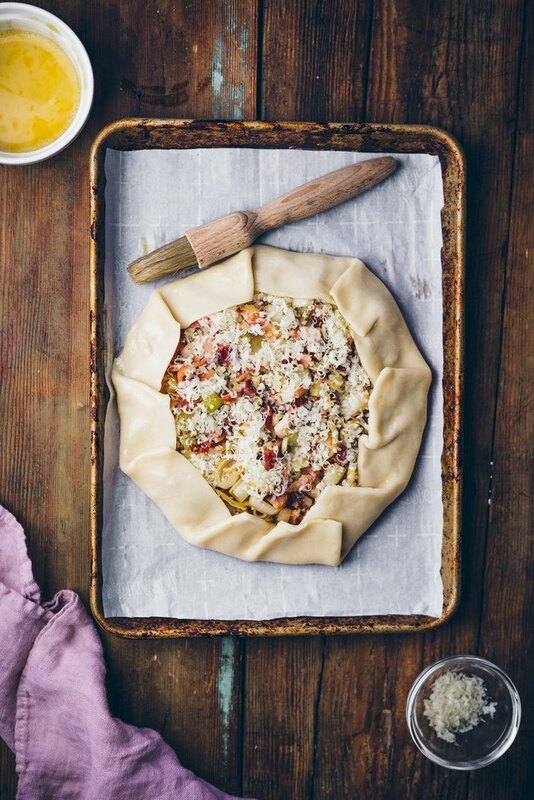 Place galette onto a baking sheet lined with parchment paper and bake for 30 to 35 minutes or until golden brown. 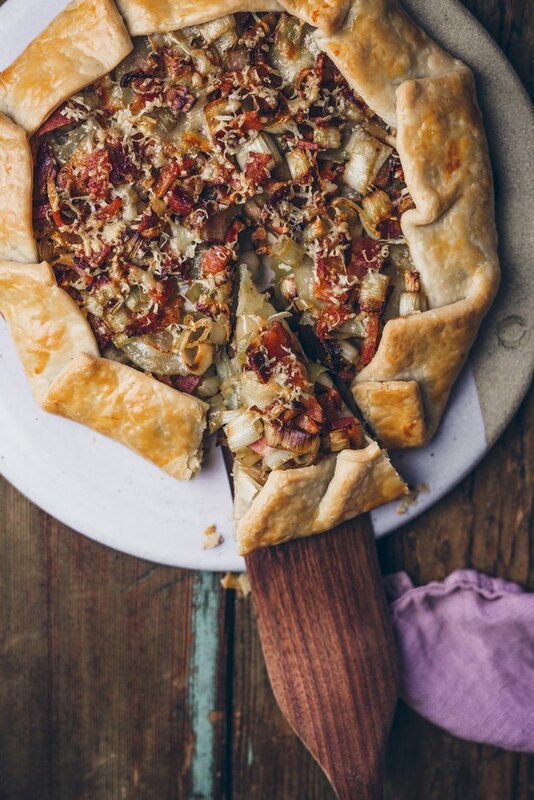 Allow galette to cool for 5 minutes before serving. Enjoy!